Peeing into a cup for a drug test might be one of the most famous and most common ways to test for drugs. It is referenced in movies, songs, and books. Just about everyone associates drug testing with a urine drug test. However, despite the popularity of this drug method many people still do not know exactly how they work nor do they know how to pass one of these tests. This article will explain how a urine drug test works and how you can pass one. Remember, to pass the test you must understand how it works. A urine drug test works by analyzing drug metabolites found in your urine to determine if they have any drug metabolites in them. A test is administered by making you urinate into a special cup. This cup is then sent to a laboratory, where it undergoes testing to determine the levels and types of drugs in your system. Now, the drug metabolites will not immediately show up in your urine. It takes your body up to twelve hours to break down the drugs enough to appear in the urine. For instance, if you were to smoke marijuana and immediately take a urine test, then that test would come back negative for marijuana. However, after one to three hours your urine would test positive for marijuana. This makes taking the proper prevention methods important. What Drugs Can a Urine Drug Test Detect? 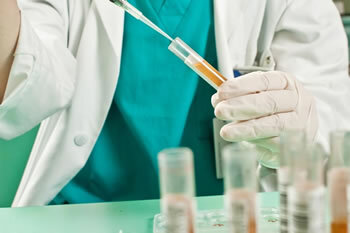 A urine drug test can detect a wide range of drugs. Some tests only look for particular drugs, but you will often not know what specific drugs that your company tests. Again, your drug test may not look for all the listed substances. However, those substances may still be included in a test. For instance, your place of employment might not test for oxycodone or antidepressants, but a law enforcement agency might test for that after a deadly automobile accident. It just depends on the circumstances about why you need to conduct a drug test. Many people will instinctively think to drink as much water as possible before a urine test with the hope of diluting the urine and passing a drug test. However, this really only works for diluting the urine. Additionally, the testing company will notice that you have diluted urine, which often will count as a failure for the drug test. At a minimum, it will lead to you having to retake the test with less diluted urine. Now that we covered how not to pass a urine test; we can explain how to pass urine testing. Synergy Detox offers a few different products that will help you pass a urine test. These range from freeze-dried urine to a total body detoxification. Freeze dried urine will work amazingly well for passing a drug test. In fact, this method is guaranteed to pass the drug test. However, it has a few problems with using it for a drug test. First, it can be difficult to use the urine for your drug test. Your employer might not observe you urinating into the cup, but law enforcement will certainly want to observe you urinating into the cup. Next, using someone else’s urine is a criminal act in some jurisdictions. It is also a crime to use someone else’s urine for any test conducted by law enforcement as well, and this makes it one of the riskiest methods to pass a drug test, but also the most effective. You should never break any laws, and the unlawful use of freeze-dried urine is not the intention of it. It’s just not worth it and will get you in even more trouble. Don’t break the law. On a positive note, the freeze-dried urine available from Synergy Detox has a heating element, which means that it will dispense warm urine. The biggest reason people get caught with fake urine is that it is not warm. It also has an IV drip to make it easier to use. At this time of writing, there are a number of states where substituting urine can be a felony or a misdemeanor. Synergy Detox does not sell to these states and you should do your due diligence to check if the state you are testing in has these type of laws. A temporary detoxification system is another system that you can use to pass a urine drug test. This works best for those that need a detoxification system with under one-week notice. Keep in mind; this method is only temporary as it will only last five to six hours. This means you have to properly plan out when you will take the test. Also, this method uses elimination techniques, not masking techniques. In other words, this eliminates the toxins instead of just covering them up. This is much more effective. Using permanent detoxification is the best, and safest, method to pass a urine drug test. This system involves using different supplements, dietary changes, and even a workout regimen to reduce the toxins in your urine. Now, it comes in a few different doses and plans depending on your weight and how frequently you use drugs. All in all, the urine test is not nearly as intimidating as many would think. The proper countermeasures can be taken to pass the test easily and this is especially good news as the urine test is one of the most frequently used drug tests.